At every special occasion in Sean’s family, the Wafer Cake makes an appearance. 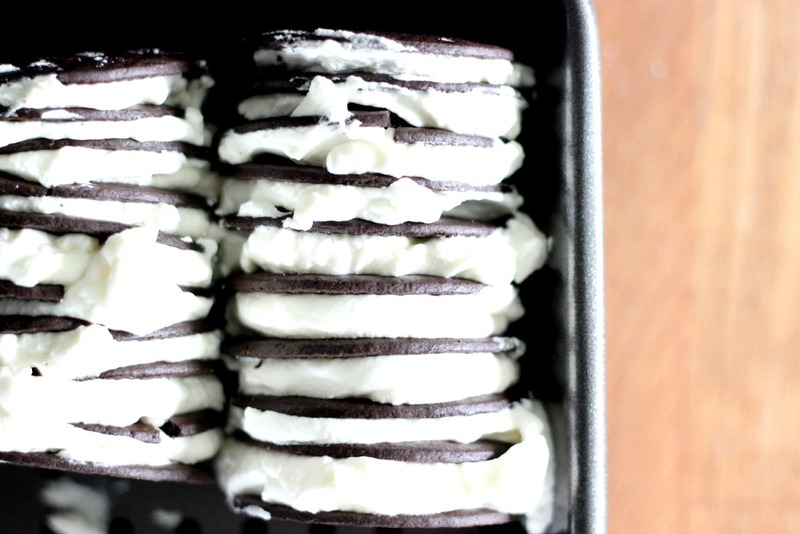 It’s a simple no bake dessert made of chocolate wafer cookies, layered with sweetened whipped cream. Only 4 ingredients and no baking. That is it. 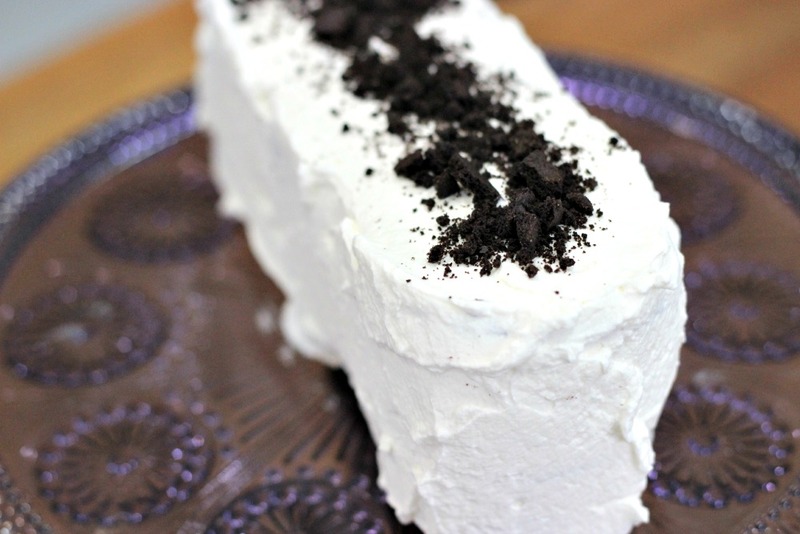 Also known by “refrigerator cake” or “icebox cake”, this dessert goes way back. 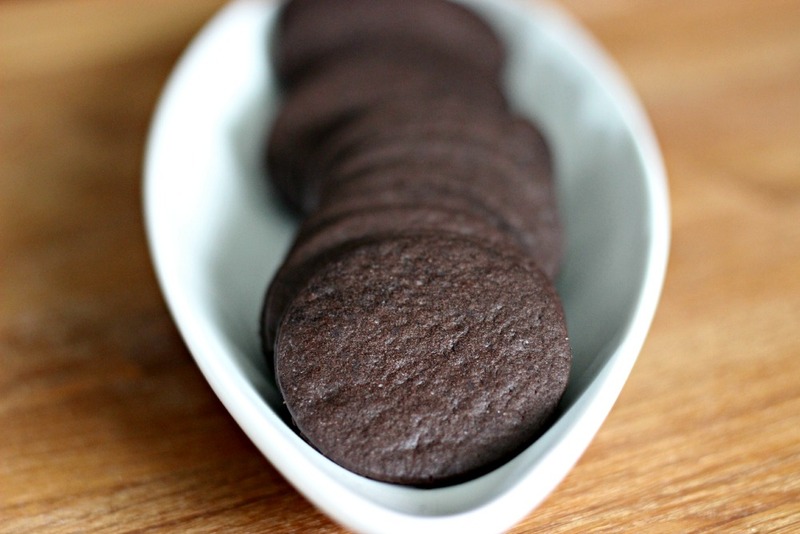 The original recipe was printed on the back of the Nabisco Famous Chocolate Wafers box, first introduced in the early 1900s. 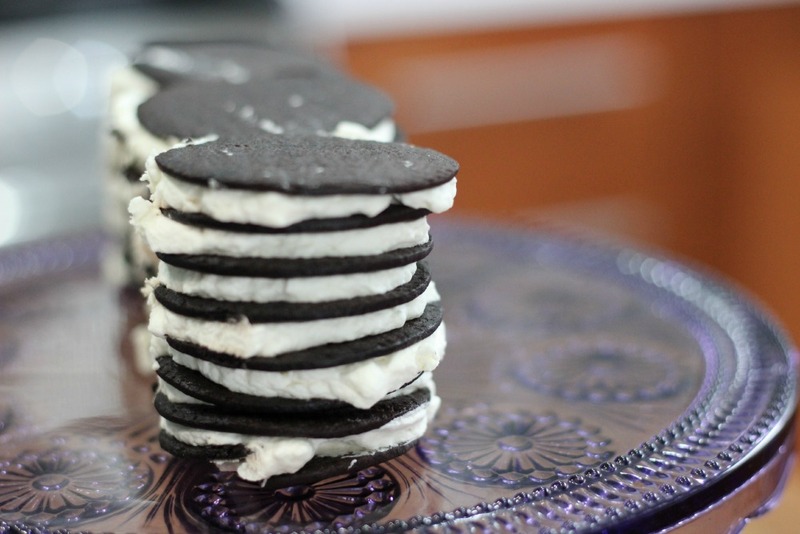 The wafers were stacked to form a log and after being layered with whipped cream and set in the fridge few a few hours, the chocolate cookies soften and almost resemble the cakey-ness of a cookie from an ice cream sandwich. The original recipe called for a manufactured whipped dessert topping, but we’ve decided to use fresh whipped cream. In a stand mixer, add the whipping cream, icing sugar and vanilla. Whip until soft peaks form. Now let’s stack those wafers! This is the method I use and also the traditional method. Just take a wafer and spread whipped cream on top. Add another wafer on the top, add whipped cream and alternate until you have 8-10 wafer layers (depending on how high you want your cake). Place the stack on it’s side inside a baking tin. The chocolate wafers are thin and break easily. Don’t worry. Just piece them together as you go. No one will ever notice. Place into the refrigerator for at least 4 hours or overnight. After the wafers and cream have chilled, remove the stack from the tin and line them up. Use the remaining whipped cream to ice the entire cake. If you have any leftover cookies, crumble them over top the cake. 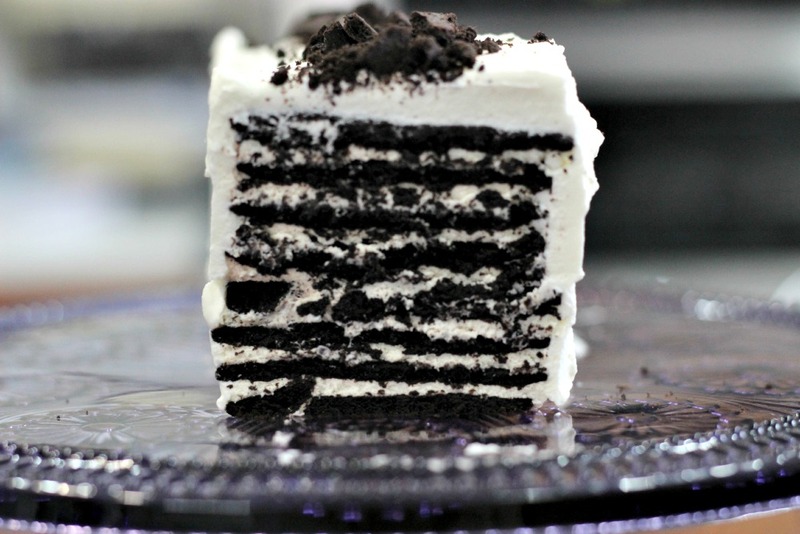 Slice into the cake and wow your friends!